Summer is finally here, and all the people and their dogs are coming out of the woodwork. Obviously, I believe that people should walk their dogs all year long, but living in Ohio, I understand that it can be a challenge when the weather doesn’t cooperate. But now it’s time to think about summer in the Midwest, so here are five items to make your dog walk more enjoyable. The best dog waste bags on the market are bigger, tougher and totally leak-proof! Earth Rated’s green-colored bags contain an additive that helps them break down unlike traditional plastic bags, and they also offer their white, vegetable starch-based bags. Their rolls’ cores and packaging are also made from recycled content. Order Today! 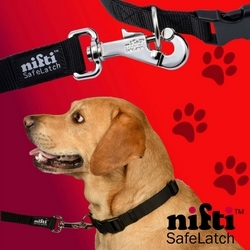 Nifti SafeLatch™ provides life-saving benefits for pets and ease of use for pet parents. This robust high quality leash allows a one-hand connection to your pet’s collar or harness and keeps the D-ring safely inside the latch keeping your dog safe on every walk or trip to the vet. Order Today! Primal Pet Foods treat line was created for dogs with the goal of providing wholesome, human-grade snacks containing no preservatives, gluten or grain. All Primal Treats are produced using USDA meats, poultry and game raised in the United States and New Zealand without antibiotics or added hormones. Order Today! H2O4K9 Dog Water Bottle is a convenient bottle with lid for serving water to your dog when you are away from home. The specially shaped lid allows dogs of all sizes to drink naturally. The standard-size bottle fits most cup holders and bottle compartments, making it convenient to take on walks, errands, vacations, and other activities. Order Today! Whistle 3 uses smart technology to track your pet’s location and activity. The smarter way to keep tabs on your pet’s location and activity levels when they’re living it up, at home, in the park or on the run. Order Today! Would any of these products make your must-have list? Tell me in the comments. That dog water bottle is pretty neat! I’ve never seen a water bottle with a cap like that, it’s perfect for road trips. Yes. The H2O4K9 Dog Water Bottle is awesome. I have one and use it all the time! The H2O4K9 Dog Water Bottle is so convenient! We don’t have dog water fountains where I live, so my dog doesn’t really enjoy his walks! These are awesome. I wish people here took good care of their dogs too. 🙁 Sorry they don’t. Maybe a little more awareness, you can lead the way. haha They are a new company and currently only have the one size. I will tell them people are interested in a smaller option. Good to know, thanks. These all look like great products! I especially like the water bottle with a lid that doubles as a little portable serving dish. That looks like something that would be so helpful for trips to the park. Yes. Love my H2O4K9 Dog Water Bottle. I actually used it today during our school therapy dog visit. So handy. Keeps the water very cool. I have three small dogs. When we go for walks in hot weather, we wait until the late evening to avoid the hottest part of the day. Absolutely! Sometimes it’s too hot to walk. We love the H2O4K9 water bottle! I just checked out the Nifti Safelatch. I think I’ll order and try it out. The latch on the leash I’ve been using has somehow gotten snagged and caught in Chip’s coat/sweater as we walked this past winter. The Nifti’s design looks like that can’t happen. Thanks for the info! 🙂 Obviously, make sure everyone is up for a dog. Lots of work. Thanks, Corinne. Have the proper dog training and walking tools is essential for a great walk and adventure. Perfect list for summer. Wow. That doggie water bottle is fancy. Designed specifically with Fido in mind. I digg it! hahaha Thanks. One of my favorite things! Hi, Neha. I couldn’t agree with you more. I take mine all the time. I really like that water bottle and I’m thinking of buying one for my emergency bag. I use waste bags for litter disposal, and earth friendly ones are even better. Thanks for sharing. Sure thing. I use and have the H2O4K9 Dog Water Bottle. It really keeps the water cool for a long time. Even in my hot car! So important to bring water. One of my friends has a dog stroller with a fan. Reminds me of when we put a fan on our baby stroller! I have that water bottle and love it. I kind of want the bigger version for myself! The human ones we have leak sometimes. I have the bigger H2O4K9 Dog Water Bottle too. And yes, I’ve drunken from it many times. These sound like great tips! I only have cats and they don’t go for walks, ha. Mine are homebodies too. But, I’ve seen cats walking and in strollers. It’s a great way to socilize them. My kid wants to have a dog. Me too. But our place isn’t big enough to have a dog. You definitely need to have the right space for a dog. Time and resources too. I know. Not picking up their dog’s poop is such a pet peeve of mine! Not to mention, finable. I need to get the Dog Water Bottle. It looks like an easy way to give your fur baby some refreshment while out of the house. I love the H2O4K9 Dog Water Bottle. It truly keeps Dexter’s water very cool. I’ve been known to drink from it myself! Love the water bottle so nice and perfect addition. I also like the poop bags green products are always good to have thanks for all the information did not have a clue so many good products existed. That is such a cool doggie waterbottle! I will definitely have to look into getting one of those for us when we are hiking with our husky. Although we typically come across fresh water that he can drink. It would be nice to have this just in case. Hi, Carrie. I too love and have the H2O4K9 Dog Water Bottle. Some dogs can be sensitive to the water they drink even from city to city. I always fill it with our filtered water. Thanks, Elena. Yes, one of the best water bottles out there. Primal treats are definitely one of our favorites. Ruby really likes them. I’m definitely intrigued by the water bottle. Love that it is stainless steel AND the cap is such a great idea. Thanks. We love Primal treats too! And use our water bottle for almost all of our outings. I love the H2O4K9 Dog Water Bottle! 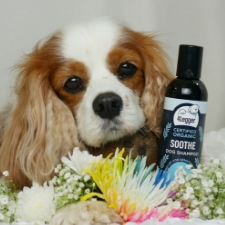 All of these products look fantastic and I know you only tell us about the best out there for our pets. I am going to have to get one of each but the H2O4K9 Dog Water Bottle is first on my list! Awe, thanks. I have the H204K9 water bottle and use it all the time. It keeps the water nice and cool, even in the car! Great ideas for the summer! It’s important that we have water and treats handy especially since dehydration is common during the summer even for our pets. Heat stroke is also a huge factor. I’m always looking for good products to keep my dogs hydrated, like the H2O bottle. Gonzo is black with two coats of fur, so he gets overheated easily. I tend to walk him early morning or in the evenings to avoid the heat of the day. Thanks, Heather. Yes, timing is very helpful in the summer! Today is miserable in Ohio, only potty breaks and indoor games for us. What a brilliant idea the dog water bottle is! I dont think I’ve ever seen one before and it’s perfect for taking dogs out for the day in the sunny weather. Yes, one of my favorite items! Water is definitely a must unless you’re swimming or near clean fresh water. Safe leash is also important, though we had good experience with the standard kind. We take poop bags when we travel; on Jasmine’s ranch we leave the poop because there is plenty of room for one and it serves to mark the place to communicate to wild animals. Thanks, Jane. Ya, I always bring Dexter’s water. Too many dogs are sensitive to other water and I never know for sure what a lake or stream may be like when I’m traveling. I never use a standard leash hook, too risky. I’ve actually had dogs wiggle them open more probably about 6 times in my career, plus have heard other similar stories. That bottle is the coolest thing. We use my water bottle and a soft dog bowl, but if she doesn’t want all the water in it, then I either throw it out or carry it awkwardly. So I may have to make a new investment! Love the H204K9 water bottle. Yup, I just pour it back in. I have to remember then, not to drink out of it. Ha! and I thought you just put a dog on a lead and grabbed a poop bag! There is so much stuff you can take with you! Tank goodness I don’t take the cats out often I’d be even worse!!!! hahaha Dexter basically has a diaper bag of stuff. 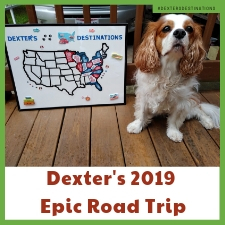 You should see all the stuff when we travel or go for a day trip! These are very good ideas for walks with dog in summer. I will copy these down. Thanks, Alicia! Glad to help. Definitely a very useful array of products for Summer walks with the dog, thanks for sharing. Thanks, Cathy. I loved putting this list together. Walking our dogs can be such a joy if we have the right tools. I’m going to share that Nifti Safe Latch with my mom. They are older and they need a quick and safe way to connect to their dog’s collar. Awesome! The Nifti SafeLatch is well, Nifti! That magnet on the leash snap really looks helpful! 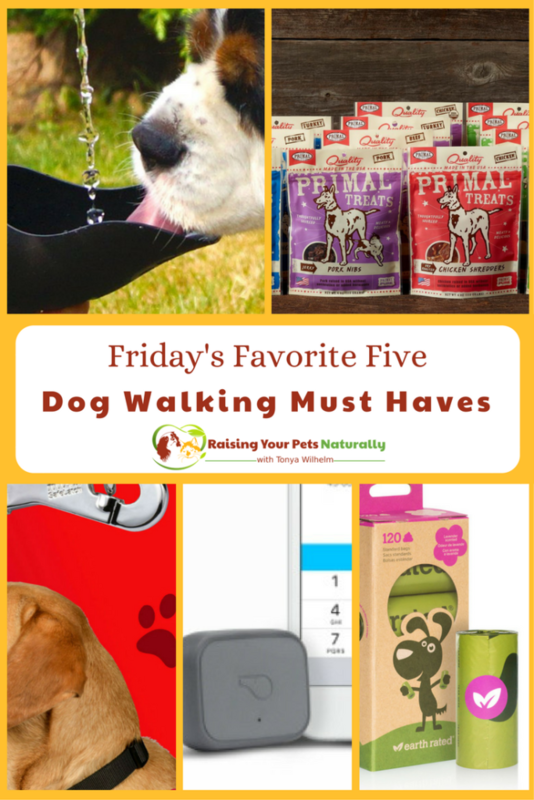 Great list, I never leave the house without water for Layla, we have a bottle that has a dish attached to it so it makes it easy for me plus she only walks with a harness as I find it safer for the old lady LOL. When I shop for clothing for myself I always make sure the clothes have pockets so I can put everything in and that way not have to carry but if we going out for the day I have a back pack with a small cooler bag in with everything so she is totally covered. We only walk on a harness too. I really love the backpack idea. I might see another list coming up…. That dog walking bottle is such a clever idea! Very handy for thirsty pets! I love it too! The first time I saw it, I knew I had to have one. I use it all the time. The midwest can be a challenging place for walking pets! Our weather here in Michigan is very similar to that of Ohio. There is snow for several months of the year and it is super hot for about 3 months. You have to be prepared for anything outdoors! Your ideas are great. As the weather is heating up now, that water bottle will really come in handy! Thanks, Robin. Now, I’m thinking about kitties. 😉 But I think those whiskers would get in the way of this cup. hmmm Might need to search for something for them. You can never forget water! 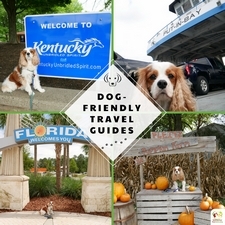 This is such a good guide for pet parents since this list has everything that you need when you’re walking with your fur baby during this season! Thanks, Amanda. Yes, water is a must have for sure. This was so helpful. I wanted to do more walks with mine and I didn’t really know there was so many items for them. I love that water bottle and it is so cool for them. Thanks for sharing. Sure thing. Walking is so fun and important for ourselves and our dogs. Great tips, we use all of them! We don’t use a pet tracker though it’s definitely something to think about. Thanks! Thanks, Kaitlynn. Water and staying hydrated for both our pets and ourselves is so important. I love that the H204K9 keeps the water so cool. We always have the bags, and that is one of my preferred brands. That water bottle looks ideal! Yes. Poop bags are a must! We loooove our water bottle. Great products. I especially love the whistle…love technology especially for pets. I definitely plan to be outside a lot this Summer with Simba getting our walk on! Getting our walk on, love it! I really love walking Dexter, one of my highlights of my day. The Whistle is a great safety product for dogs. That dog water bottle is so cool! I’ve never seen anything like that before. Thanks. We love ours! It keeps the water so cool, it’s awesome. Great ideas. Love the water bottle. I do not walk my dogs as often as I should, but will try to more often. Thanks. Yes, walking is so good for them and us. A great way to unwind and get out of the house. I love all of these recommendations. We order Earth Rated in bulk – I have three dogs so we go through a lot of poop bags 😉 We always take water and collapsible bowls whenever we are out and about and that H2O4K9 Dog Water Bottle might have to make it into our supply closet! Also, that Whistle 3 looks like an awesome safety tool for when we hit some of the more “off-the-beaten-track” areas. Thanks. I take my H2o4K water bottle all the time. Yes, the Whistle would be a great idea for you guys. You are very adventurous. I find poop bags everywhere! Pockets, car, bathroom drawers. lol Better to have too many than not enough. Great lineup! I also include a flashlight and reflective leash for whenever we are walking at dusk and run the risk of not being home before it gets dark. Now that we are in such a warm season, sometimes we walk later to avoid overheating, but that means our lighting is limited too. Thanks for sharing these items and reminders! I don’t have a dog but friend does these are some great doggy gift ideas, I like the sound of the doggy water bottle. 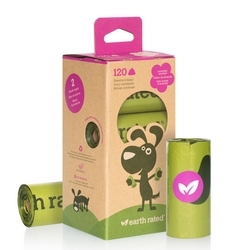 I love the earth-friendly poop bags and the water bottle! We’ve tried Primal food before too, and the kitties loved it. So many great products out there today to make adventuring with our pets so much easier! Thanks. Primal fans in this house too. Simple, no antibiotics/hormones, yum. We actually use several of these products and love them! I’ve been dying to get Whistles for my dogs! That’s great! 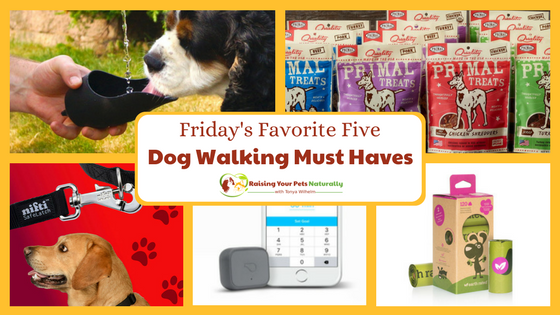 These are really nice products for dog walking. The Whistle is amazing. these are such amazing dog products that i want to get them all lol i would love to spoil my dog. That water bottle looks awesome! I love that water bottle. It is important that dogs stay hydrated when we take them out for a walk in the summer. I will share this post with my niece. She takes her dog for long walks everyday during late afternoons. Thanks for sharing. I love that your niece is active with her dogs. Yes, hydration is so important. 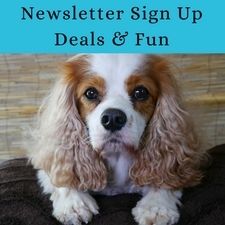 These are cool finds for out furry bestfriend. If we care to ourselves, we should also give these little care for them. Anyway, they give us unconditional love. Thanks, Blair. They give us all their love and you’re right, we need to care for our pets. We are actually dog sitting in a few weeks, so this helpful finds are perfect for us. How fun. Happy to help. I may have to order one of those water bottles. I’ve never seen a design like that. Hi, Cheyenne, I love this bottle! 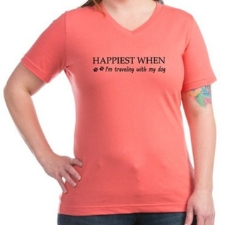 I take it with me all the time.